I love history, and I inhale great historical fiction. 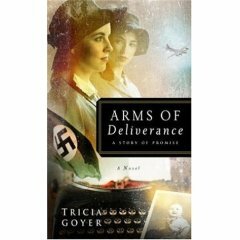 Arms of Deliverance, the newest book from my friend Tricia Goyer, is such a book. You can read Chapter One of the book at Tricia's blog Real Life. 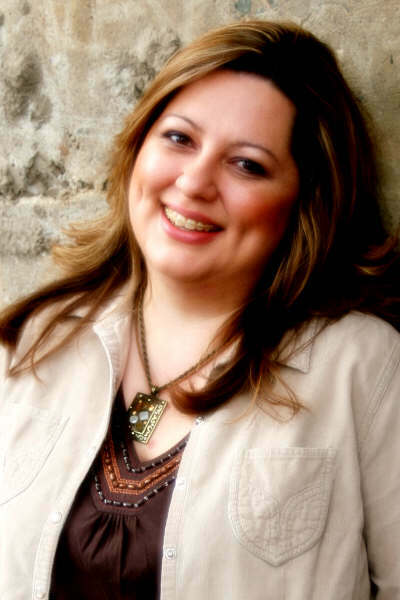 The idea for Arms of Deliverance came one day as I was researching for my novel Night Song. I was watching a video that talked about Lebensborn homes in Nazi Europe. These were homes where young women birthed children for the Reich. After all, to have a "Thousand Year Reich" the Germans needed future Aryans. That was the first layer of the story. The second layer came when I was researching my novel, Dawn of a Thousand Nights. First, I was studying these amazing women who risked their lives during WWII. (Dawn of a Thousand Nights involved female pilots who ferried US planes around the country.) Other brave women who risked their lives were female war reporters, and I knew I wanted to write a story about them. This sparked my interest too. Throw in my intrigue of B-17 bomber crews over Europe, and you have the first three elements of Arms of Deliverance. The fourth is a Nazi officer in search for . . . well, you’ll have to read the novel to find out! The first thing I did when I started researching was to check to see if I could find any veterans who were there. I got a hold of an amazing group of men with the 91st Bomb Group. I couldn’t have asked for a better group of guys. You can check them out at their website (http://www.91stbombgroup.com/). Be sure to take time to look at the photos and read the TRUE stories from the 91st! The men gave me all types of information. They gave me the details of exact flights, actual photographs from that time, and they shared their personal experiences and stories. One thing you may remember from photos of old bombers is the nose art, which highlighted the bomber’s name. During my writing, I kept praying for the perfect name for my bomber—something to tie into the book. During my research I met a veteran from the 91st Bomb Group named Jack Gaffney. Out of the blue, Jack suggested I use the name “Destiny’s Child.” (This came years before the music group!) You see, Jack was a ground crew member and a nose-art artist. He painted the nose art “Destiny’s Child” and other B-17 Bombers. At the time, Jack had no idea of premise of my novel included the Lebensborn homes and a special child. Is that cool or what?! To see Jack’s nose art, go here. Okay, here’s just one more cool story . . .
I’d previously read books about the underground resistance in Belgium, and I knew I wanted to include that in this novel too. In order for that to work, I need to set my novel in a Lebensborn home in Belgium. There was only one of these birthing homes in all of Belgium, yet I could find very little information about it from books or the Internet. Imagine that. I knew only one person in Belgium—someone I had met two years earlier—who had the exact information I needed. Is that another God thing, or what? !